Deliver high quality optical digital sound, with no signal interference. The THINTOS3 3 ft Toslink Optical Digital Audio Cable provides clean, accurate sound, with no distortion or signal interference. 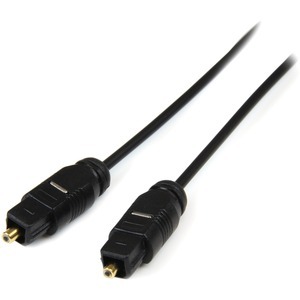 Backed by our lifetime warranty, this 3ft Optical Audio Cable is constructed for maximum durability, for dependable, long-lasting connections.